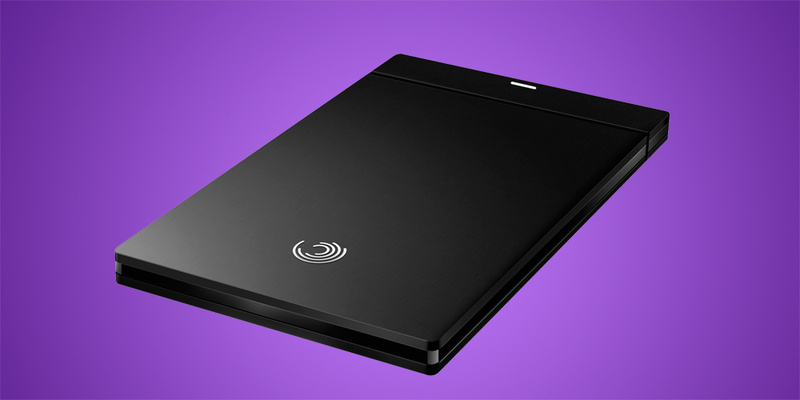 At CES 2011 Seagate announced the incredibly thin GoFlex Slim and it’s finally here. It is the slimmest portable hard drive on the market measuring at just 9 mm thick, roughly the size of a #2 pencil. But don’t let its small size fool you as it sports a 7200 RPM hard drive which is the fastest in this form factor. Combined with USB 3.0 support, the GoFlex Slim will have some blazing fast transfer speeds. Portable hard drives are about two things: physical size and drive capacity. The GoFlex Slim delivers in the portability department, but lack storage space. Sure 320 GB is nothing to scoff at, but most manufacturers are stepping up to 500 GB or more storage space. I have no doubt that Seagate will incorporate bigger drives in the future, but a 500 GB GoFlex Slim at launch would have made for a much more compelling product. Despite the fairly low storage capacity, many people will likely purchase the Slim for its portability. The ability to always have 320 GB of storage on hand is a comforting thought for most people as it makes transporting home videos and other large files easier. In an effort to increase performance, Seagate incorporates a 7200 RPM drive during a time when most manufacturers are sticking with the slower 5400 RPM ones. The combination of the speedy RPM and support for USB 3.0 results with the GoFlex Slim boasting some incredibly fast read and write speeds. Although the company markets USB 3.0 compliance, it still maintains its backwards compatibility with USB 2.0. Since Seagate uses proprietary ports to connect with other GoFlex products, it requires users to use the included adapter to connect via USB. Keep in mind that if you lose the adapter, the USB cable will not work. I think it would have been better if the company went with the standard USB port which would simplify the user experience. Backing up your data is incredibly important, but it’s of equal importance to keep a copy offsite. The GoFlex Slim is a pretty good option for doing so since it easily fits into a safe deposit box without taking up too much of the limited space. The device is also great for transporting fairly large amounts of data, such as photos or videos. However, I won’t be purchasing a GoFlex Slim until there is a significantly larger capacity model available because I transport a lot of data and 320 GB simply does not cut it. Nonetheless, this will be great for those who need more space than a standard USB thumb drive allots, but still want to maintain portability.